With tablets, smartphones, and "go everywhere" laptops, interactivity and situated learning opportunities are transforming courses and curricula. For degree programs in social and behaviorial health and courses dealing with personal and community health, it's now more feasible than ever to take a "personal trainer" approach, thanks to robust m-learning. This incorporates situated and experiential learning strategies. The approach is uniquely hands-on, and can include keeping a daily "change planner" that involves diet, exercise, nutrition, addiction recovery, eldercare, community health, volunteerism, and more. Students assess their own health, or the health of individuals within their community, and they set goals. Accessing instructional materials covering text, video, and audio, together with interactive instructional materials which can include daily logs, quizzes, animations, and experiences in virtual worlds, students develop hands-on knowledge. Since they are applying the educational experience to the real world, they also can receive lasting benefits. In the case of health programs, which involve cognitive strategies and behavior modification, the course can be truly life-changing. The textbooks that are now being incorporated into courses and curricula are being tooled to fit the devices that students use. 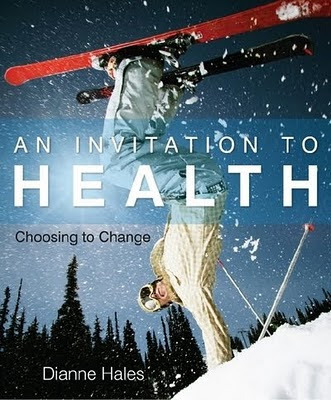 For example, Dianne Hales's Invitation to Health (published by Cengage Learning) contains an online planner that functions much as a virtual life coach and counselor. Serious games can often be played on mobile devices, and the experience can lead to an enhanced interaction with the strategies used in recovery. An example is "Guardian Angel," a game for health, focused on addiction recovery, developed by the RETRO Lab at the University of Central Florida's IST with SMEs from UCF College of Medicine & MUSC Dept. of Psychiatry and Behavioral Science, and funded by the Robert Wood Johnson Foundation. Part of the personal trainer approach involves play, which often stimulates the brain in ways that trigger pleasure centers. Knowing the connection between video game play and pleasure, researchers have looked at interactive games in conjunction with pain management. Further, there are ongoing studies designed to try to understand the best way to make interactive games truly engaging on portable devices.